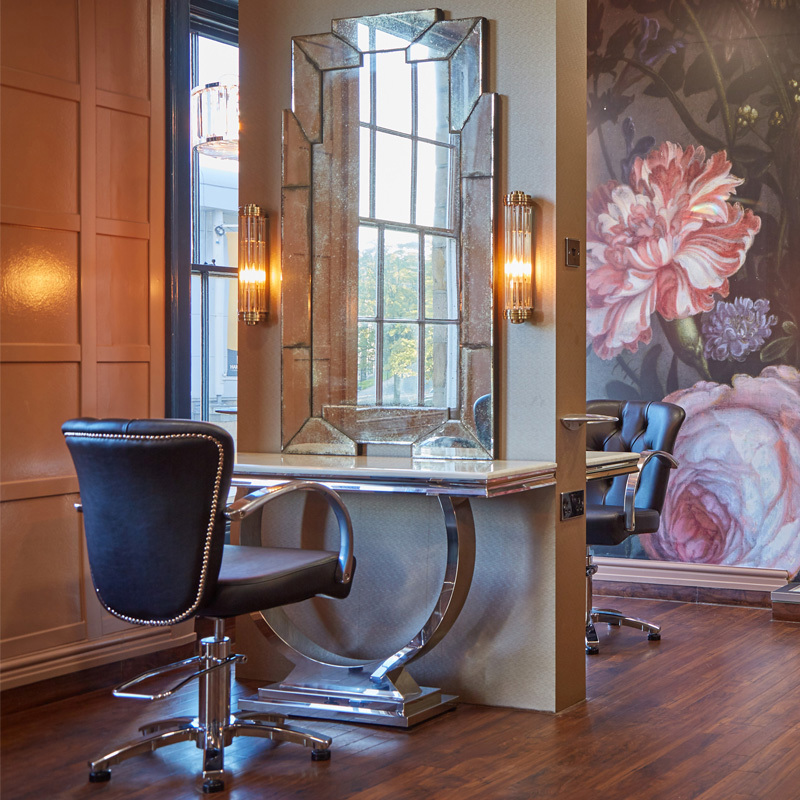 Harrogate & Ripon are well-heeled town’s that deserve a boutique-style salon typical to the likes of the Kings Road and Knightsbridge with a service to match. As you walk through the door there is an unmistakable air of luxury and opulence. No expense has been spared to make this place as comfortable and inviting as it could be, yet it remains successful on a practical level… It is a far cry from a sterile environment where customers are lined up publicly exposed in a state of hair undress! A balance between openness and intimacy has been struck with the emphasis placed on client-stylist interaction. The setting is conducive to relaxation, with the room cleverly divided with magnificent ornate dressing tables that allow just enough privacy without isolation. Baroque is about setting high standards, both in the industry and as a small business within the local community.